Who says changing diapers can''t be glamorous? 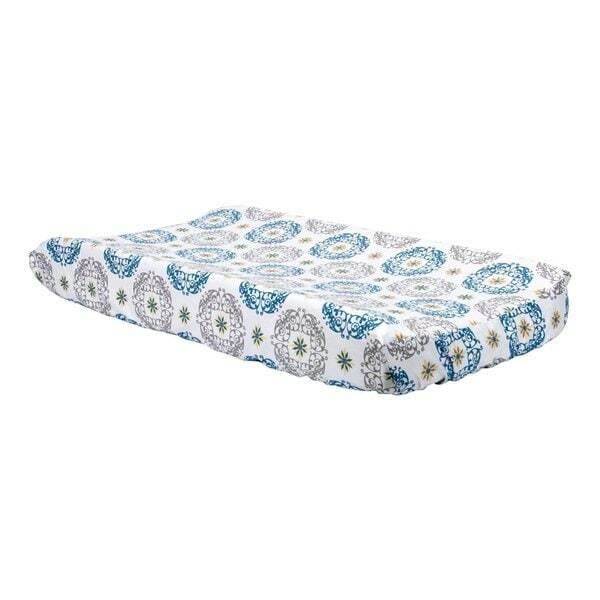 trend lab changing pad covers are both stylish and comfortable. 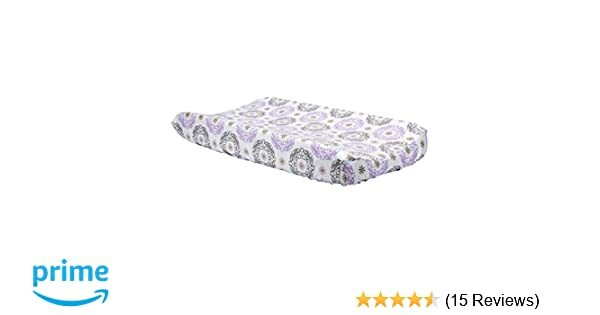 Soft printed cotton cover is fully elasticized offering a sleek tailored fit to contoured changing pads, allowing you to effectively comfort your baby while protecting your changing pad. The Florence changing pad cover features filigree medallions in sweet lilac, soft gray and crisp white, with accents in a muted citron mint. Cover fits standard sized changing pads. Coordinates with the Florence collection by trend lab.